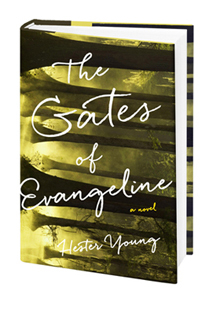 Area resident Hester Young will be launching The Gates of Evangeline (G.P. Putnam’s $29.95), her debut novel, Wednesday, September 2, at 7 p.m., at the Princeton Public Library. The first in a planned trilogy, the book is about a grieving mother whose dark visions bring to light secrets that affect those around her. Ms. Young, who often writes at the library, holds a master’s degree in English with a creative writing concentration from the University of Hawaii at Manoa. Before turning to writing full-time, she worked as a teacher in Arizona and New Hampshire. She lives in Lawrenceville, with her husband and their two children. For more information, visit www.princetonlibrary.org.